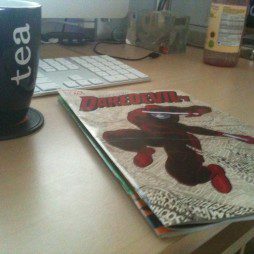 Tomorrow it’s time for a more serious post, but for now, here’s a list of photos I’ve been meaning to post for the last week, ever since Daredevil #1 came out. 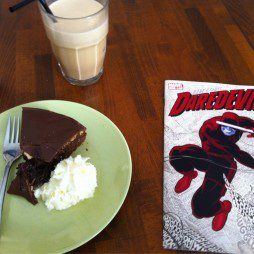 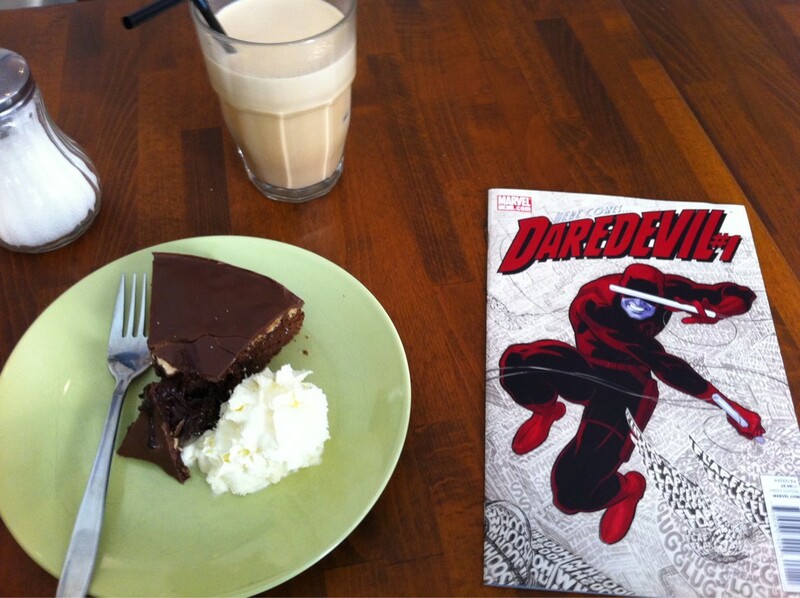 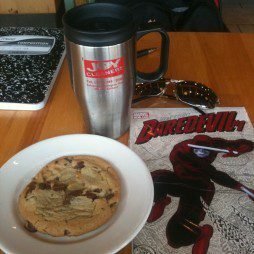 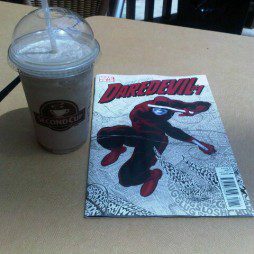 You see, I was so excited about Daredevil #1 coming out that I decided to make an event of it and go to the closest coffee shop I could find and treat myself to some cake and coffee while reading it. 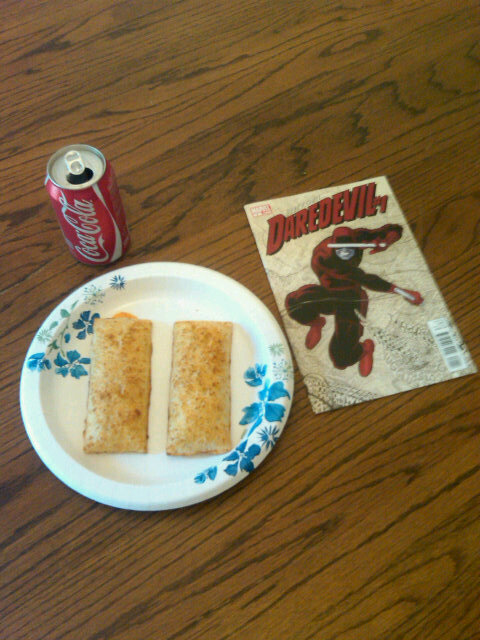 Before even opening the issue, I snapped a picture of the setup with my phone and uploaded it to Twitter. 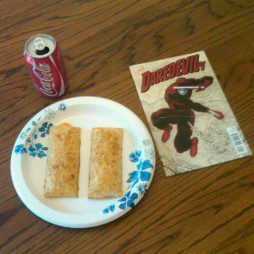 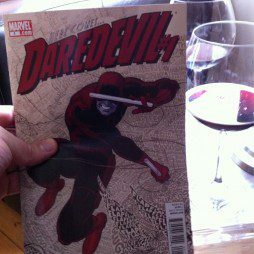 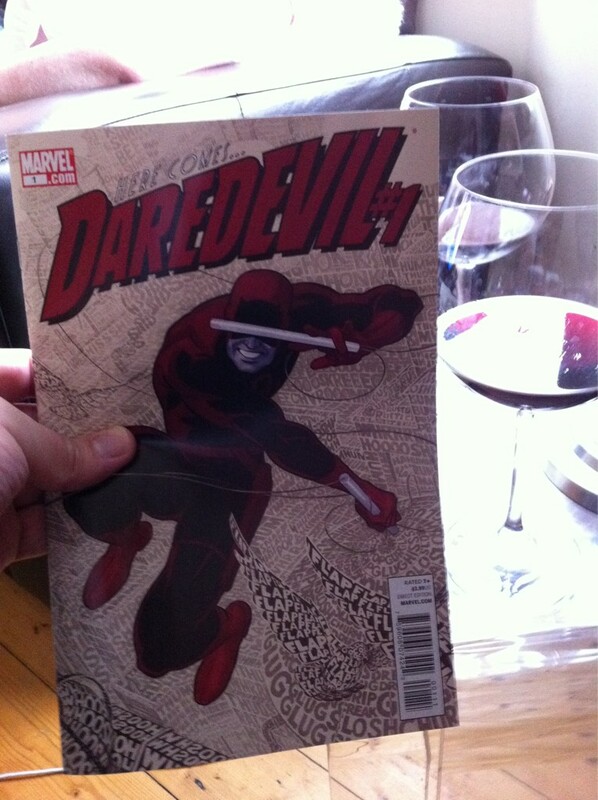 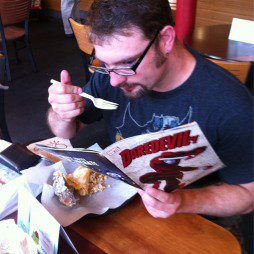 Before long this had become something of a minor Internet meme and I kept getting replies from other people doing the same thing: Eating or drinking while reading Daredevil #1 and recording it for posterity. 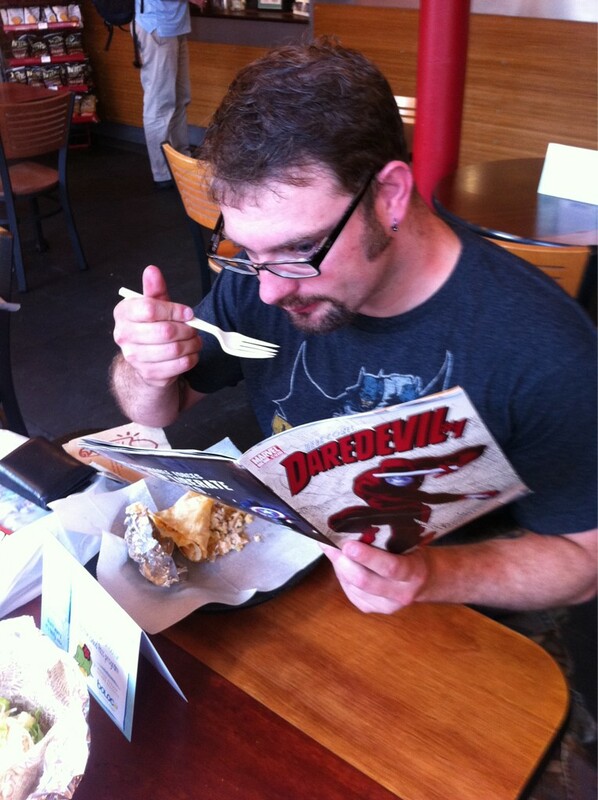 Interestingly, DD is a guy who can’t do much snacking and still pull off his outfit. 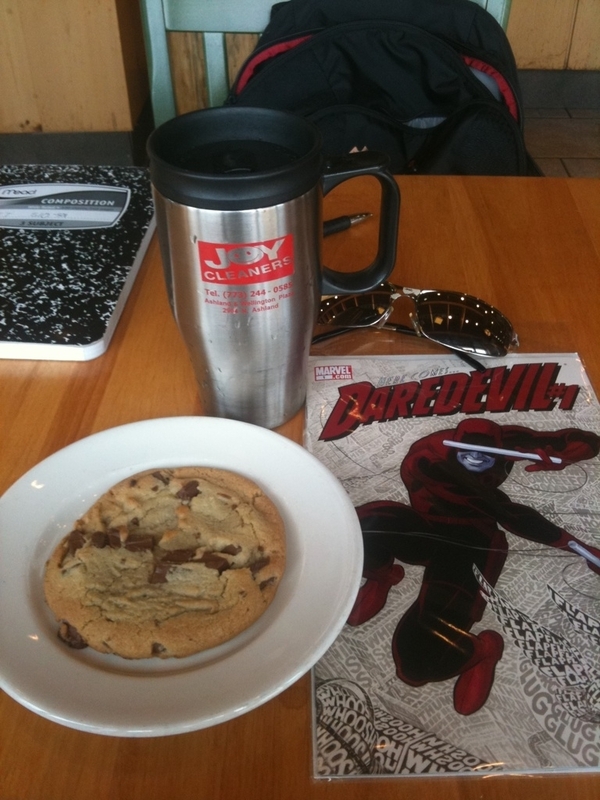 This is EXACTLY how I spent my last Saturday morning… I thought I was the only one! 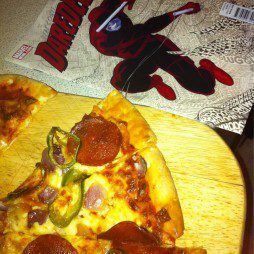 I even bought a red DD shirt just for the occasion. 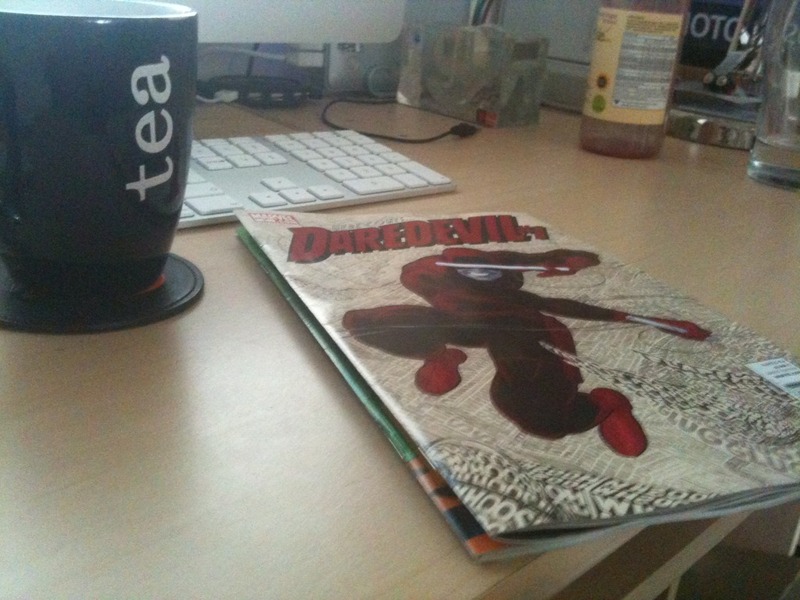 Wish I had taken a picture, though. 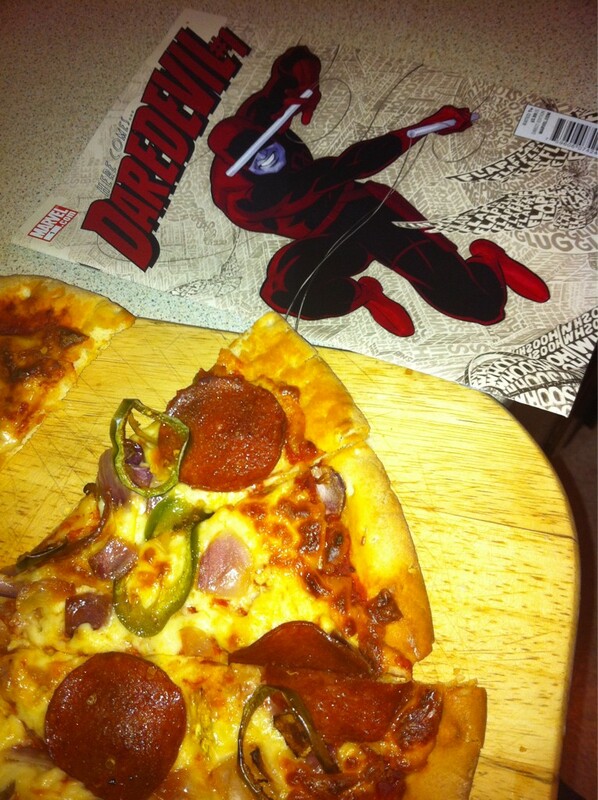 A slice of pizza (cold pizza is best), can’t think of a better way to enjoy reading any DD, past or present. 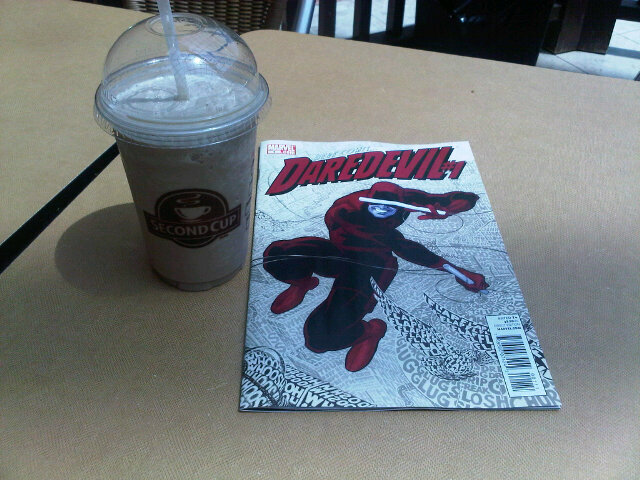 I wanted it I thought it was nicer, but too expensive.